Experimental Ethnography and Ethnographic Installation. Two overarching principles governed its conceptual design and organization. First, the Field School program combined intensive and long term field research with a pedagogical agenda of training students in ethnographic fieldwork. Second, the Field School program sought to both theorize and put into practice a mode of ethnography that it called experimental ethnography. While this term has come to refer to a movement focused on issues of representation in ethnographic writing, it is used here to refer to an emergent theory and practice of fieldwork. Experimental ethnography is a paradigmatic mode of fieldwork in which given, prior and assumed knowledges are used and recirculated in fieldwork activities, dynamics, and practices with the goals of actualizing an ethnographic process that both a) has relevance to and for the communities with which research is conducted and b) experiments with the very practices of fieldwork itself with the aim of theorizing, and reconfiguring alternative forms of, ethnography. 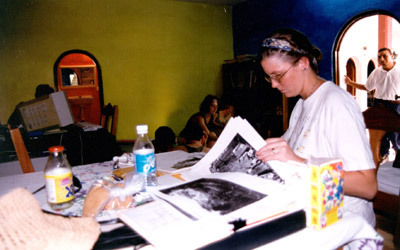 The Field School in Experimental Ethnography completed its research projects in 2000 after three successful field seasons. In three summer seasons of research, the program trained more than 30 undergraduates and five graduate students and worked in three areas of investigation indicated above. Based on a re-newed collaboration with Dr. Juan Castillo Cocom beginning in 2000, the Field School was transformed into and re-inaugurated as The Open School of Ethnography and Anthropology. In 2003 the Field School in Experimental Ethnography was re-designed and re-inaugurated as OSEA or The Open School of Ethnography and Anthropology under the auspices of the CITE — The Community Institute of Transcultural Exchange. Dr. Castillo Cocom taught at the Universidad Nacional Pedagógica UPN (2005-2008) and is currently teaching at the Universidad Intercultural Maya de Quintana Roo UIMQRoo (2009-present). Dr. Castillo Cocom continues to collaborate with OSEA on research projects, collaborative teaching and publications. His students the UIMQRoo are often involved in OSEA teaching, research and conference projects. 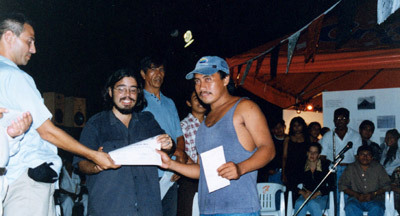 Castaneda has been on the licientiatura thesis committe of several of his students, including Edy Dzidz, who graduated in 2013 from the UIMQRoo. 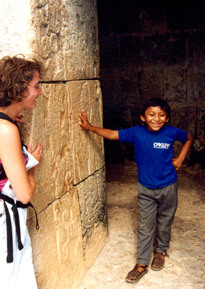 Edy's research was a study of memory and history based on a comparative analysis of the way anthropologists have imagined the Maya of the community of Tusik and the way members of the community of Tusik imagine and narrate their own histories and memories. The Ethnography Writer’s Workshop is not a fieldwork based program. The Workshop is an intensive period of writing on one’s own projects within an atmosphere of collaborative support, constructive commentary, intellectual focus created by the OSEA staff and the other participants who are similarly engaged in their own writing. The Workshop is ideal for any culture-focused writer seeking to complete a journal article, revise a book, write a dissertation or thesis, or prepare a research proposal or report.